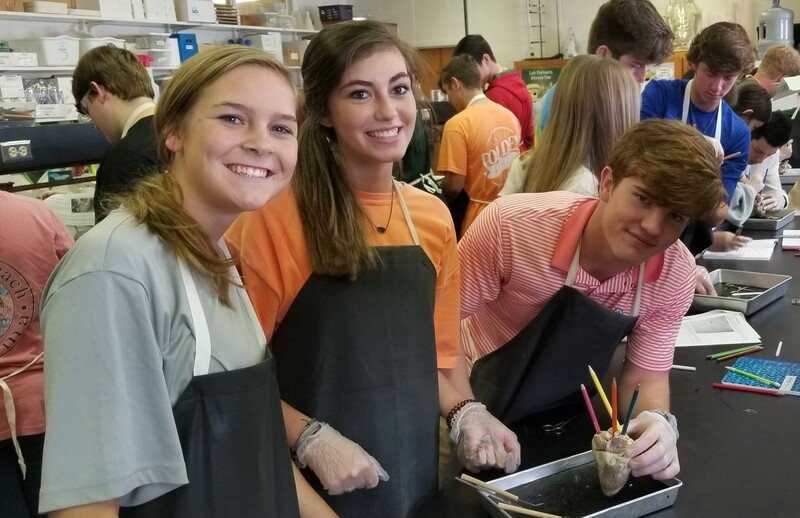 Autauga Academy offers a college preparatory curriculum for secondary education students. Students have the opportunity to receive a standard diploma or an advance diploma. Junior and senior students on the advanced diploma track may take up to four dual enrollment courses for college credit. Autauga Academy partners with local universities to offer English 101 and 102 to the junior class and Western Civilization 101 and 102 to the senior class. Registration occurs after school begins. Additional college course fees apply. Students on the advanced diploma track are required to complete 60 hours of community service in addition to more advanced coursework.